Lovers of hooks and needles will love our newest free eBook, brought to you by Red Heart Yarn and FaveCrafts. From Head to Toe, Young to Old: 26 Knit & Crochet Accessories is a great collection of hats, socks, scarves and more for yarn crafters of all ages and skill levels. 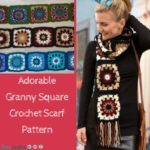 Whether you’re just learning to crochet or you’ve been hooked on it for a long time, you’ll love the fun hat and scarf patterns in our Head to Toe eBook. This Strawberry Beret and Wrist Warmers pattern is perfect for young girls. And with those bright pink colors, these crocheted accessories can easily be worn in fall, winter, and spring! That’s the great thing about Red Heart’s From Head to Toe eBook. 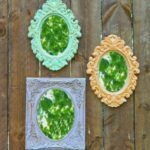 All the patterns can be customized to wear year round! The lightweight scarves and crocheted sock patterns are perfect for all kinds of weather. This free eBook is all you’ll need when you’re ready to start working on a new yarn project. Download your copy of From Head to Toe, Young to Old: 26 Knit & Crochet Accessories today. Speaking of lightweight scarves, From Head to Toe has some great knitted scarf patterns for knitters of all skill levels. One of my favorite patterns in From Head to Toe is this beautiful Ocean Waves Scarf. I love that it can be worn as an artistic accessory in the warmer months, but can also be used to keep warm in the winter. That’s my kind of fashion staple! Scarves and hats aren’t the only things you’ll find in your free copy of From Head to Toe, Young to Old. There are also some great wrist and arm warmer patterns, patterns for socks and slippers, and cute and stylish ear warmers. 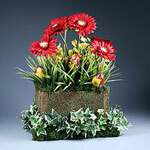 All of these accessories also make great gifts for any holiday or birthday. Teens will love a pair of arm warmers or fashionable ear warmers. And who doesn’t love a nice warm pair of socks during a cold and rainy afternoon? From Head to Toe, Young to Old: 26 Knit & Crochet Accessories is the perfect book for someone who’s looking for a quick and easy yarn project. 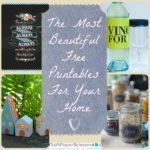 You can download your own free copy directly to your computer, ereader, or even your smart phone…that way you have it with you when you’re at the store buying new yarn! With these fun and easy patterns in From Head to Toe, you can create a whole new slew of fashionable hats, scarves, socks and more to wear any time of year! The epic battle starts. Knitting or crochet: Which do you like better? 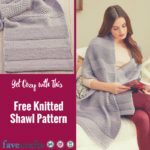 Red Heart Yarn and FaveCrafts have partnered together to bring you From Head to Toe, Young to Old: 26 Knit & Crochet Accessories, a new free eBook filled with fabulous yarn crafts! Whether you’re a novice to knitting or cultured in crochet, you’re sure to find something to suit your tastes in this great collection of patterns. You may think that outdoor accessories are just for winter, but Red Heart’s From Head to Toe eBook also includes great patterns for crocheted socks, handmade knitted slippers, and lightweight scarves that can be worn year round. This eBook is all you’ll need when you’re ready to start working on a new yarn project. Hats are a great way to start learning to crochet. In our Head to Toe eBook, we’ve included lots of great crochet and knit hat patterns for both beginners and advanced needle crafters. This section on hats includes patterns for men, women, and kids…so you can create beautiful handmade head accessories for all your family, friends, and loved ones! 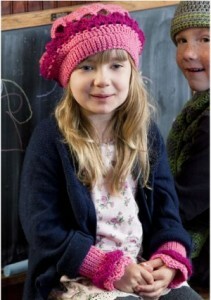 I just love this Strawberry Beret and Wrist Warmers pattern so much that I’m going to make it for my niece. It’s easy to crochet and I’m sure she’ll enjoy showing off her new feminine accessories! 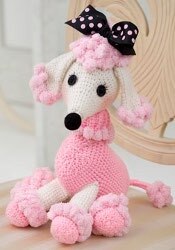 You can find this great crochet project and much more in Red Heart Yarn’s free Head to Toe, Young to Old eBook. Whether you’re new to knitting or have been pearling for years, scarves are always a fun and quick yarn project…and our new free From Head to Toe eBook is filled with great scarf patterns to knit and crochet. This Ocean Waves Scarf is beautiful and so easy to make. 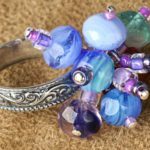 You can wear it to keep you warm in the winter months, but it can also be worn in the fall and spring as a beautiful and artistic addition to your wardrobe. If you’re one of those people who is cold all the time, you might be interested in the several wrist and arm warmers that are included in From Head to Toe: Young to Old: 26 Knit & Crochet Accessories. 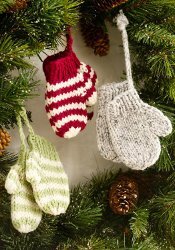 Wrist warmers are an easy and quick project that make great gifts for the holidays or anytime! And no knitting and crocheting eBook would be complete without some socks and slippers! We’ve got enough cozy toe patterns to keep your feet warm year round! 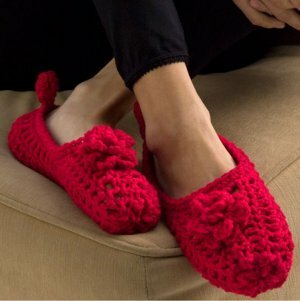 I cannot wait to make these Fireside Slippers. Even though I don’t have a fire place, I do have hardwood floors and these comfy slippers look like they would keep my feet warm and comfortable. 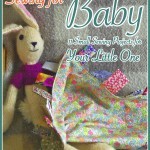 And one great thing about this free eBook is that you can download it right to your phone or e-reader…so you can just take it to the store with you, review your favorite patterns, and buy what you need! Although winter seems to be at bay for now, that doesn’t mean I’m going to stop making fun outdoor accessories! 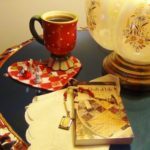 With my own free copy of From Head to Toe, Young to Old: 26 Knit & Crochet Accessories, a pair of needles and some Red Heart brand yarn, I can create a whole new slew of pretty scarves, hats, wrist warmers, and socks to wear any time of year! When it comes to knitting, what’s your favorite thing to make? What about your favorite crochet project?